In the first half of 2018 the Piaggio Group reported an improvement in performance from the year-earlier period, with progress on all the main earnings indicators and a reduction in debt. Mantua, 27 July 2018 – At a meeting today chaired by Roberto Colaninno, the Board of Directors of Piaggio & C. S.p.A. (PIA.MI) examined and approved the half-year report on operations as at and for the six months to 30 June 2018. Group consolidated net sales totalled 729.6 million euro, an improvement of 1.2% from 720.9 million euro at 30 June 2017. At constant exchange rates, net sales would have risen by 6.2% from the first half of 2017. The industrial gross margin was 228.3 million euro, up by 1.4% from 225.2 million euro at 30 June 2017. The return on net sales was 31.3% (31.2% in the first half of 2017). Operating expense sustained by the Group in the first half of 2018 amounted to 166.4 million euro, a decrease of 3.4% from the year-earlier period generated in part by the reduction in amortisation and depreciation. The income-statement figures described above produced consolidated Ebitda of 116.6 million euro, up 2.3% from 114 million euro in the first half to 30 June 2017. The Ebitda margin was 16% (15.8% at 30 June 2017). Ebit for the first half of 2018 was 61.9 million euro, up 16.8% from 53 million euro in the year-earlier period. The Ebit margin was 8.5% (7.3% at 30 June 2017). At 30 June 2018, the Piaggio Group posted profit before tax of 48.5 million euro, up 33.1% compared with 36.5 million euro in the first half of 2017. Income tax for the period was 21.8 million euro, with an impact on pre-tax profit of 45%. The Piaggio Group closed the first half of 2018 with net profit of 26.7 million euro, an increase of 26.2% compared with 21.1 million euro in the first six months of 2017. Net financial debt at 30 June 2018 stood at 431.4 million euro, an improvement of 15.3 million euro from 446.7 million euro at 31 December 2017 and an improvement of 18.8 million euro from 450.2 million euro at 30 June 2017. Group shareholders' equity at 30 June 2018 was 384.3 million euro (385.1 million euro at 31 December 2017). In the first half of 2018, Piaggio Group capital expenditure amounted to 47.8 million euro, an increase of 9 million euro from 38.8 million euro at 30 June 2017. The total workforce of the Piaggio Group at 30 June 2018 numbered 6,976 employees. The Group’s Italian employees numbered 3,430, unchanged from the year-earlier period. During the first six months of 2018, the Piaggio Group sold 304,000 vehicles worldwide, an increase of 8.3% (280,700 shipments in the year-earlier period), and reported consolidated net sales of 729.6 million euro. At geographical level, sales volumes increased in India and in the Asia Pacific region, while volumes in the EMEA and Americas regions were affected by the fall in demand for 50cc vehicles. 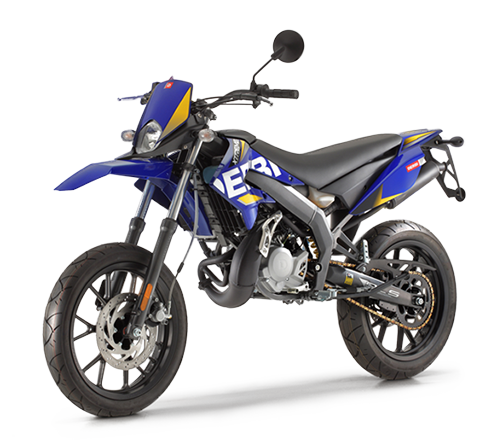 In the first half of 2018, the Group sold 203,900 two-wheelers worldwide (202,100 in H1 2017), generating net sales of 520.5 million euro (538 million euro in the year-earlier period). The figure includes spares and accessories, on which turnover totalled 64.3 million euro, up from the first half of 2017. Group two-wheeler sales volumes in the first six months of 2018 increased by 0.9%, with a downturn in net sales (-3.3%) largely caused by the exchange-rate effect and a different geographical sales mix. 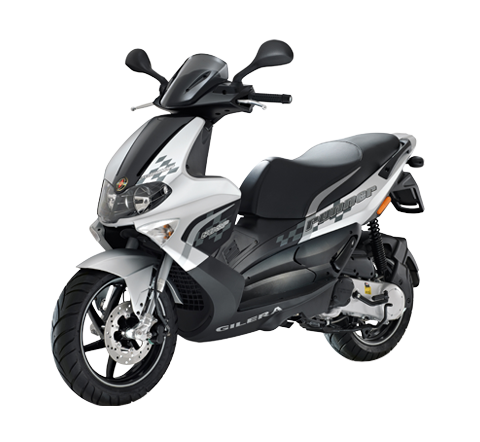 In the first half the Piaggio Group reported a sharp increase of 36.8% in two-wheeler sales volumes on the Indian market, assisted in particular by sales of Vespa scooters, the Aprilia SR, and the growth of the network, with the opening of more than 60 Motoplex stores in India in the first six months of 2018. There was also an increase of 9.8% in two-wheeler sales volumes in Asia Pacific compared with the year-earlier period. 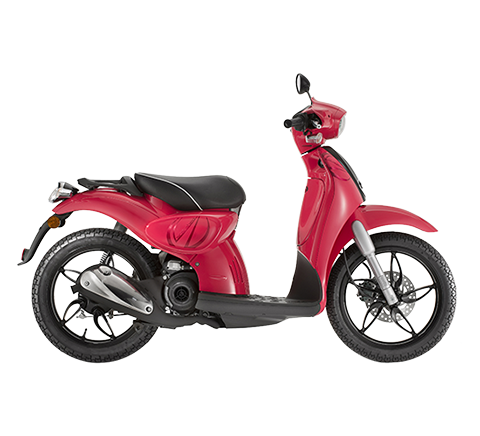 In Europe, the Piaggio Group confirmed its leadership of the scooter segment, with a share of 25.6%. 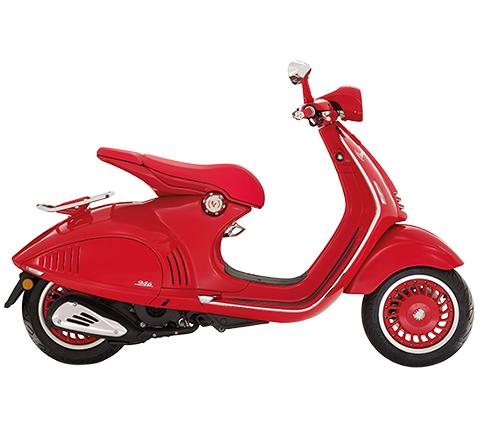 In the scooter segment, the Vespa brand boosted sales volumes by approximately 10% from 30 June 2017, with a particularly positive contribution from the Indian market and the ASEAN area, and the Medley high-wheel scooter achieved growth of 12% in sales volumes. 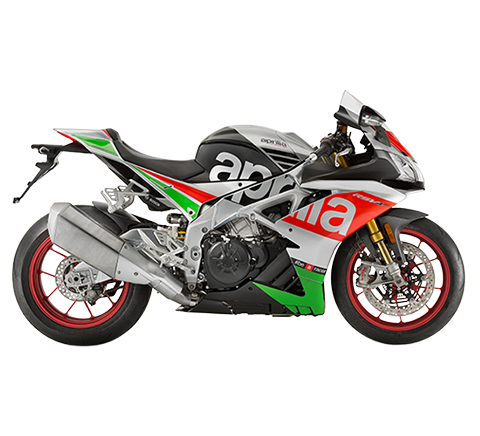 In the Group motorcycle business, important results were achieved by the Aprilia brand, with a 17% increase in sales. 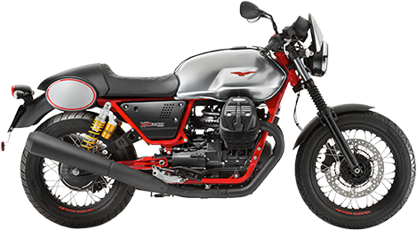 Sales of the V7 family were a significant driver in Moto Guzzi net sales. In commercial vehicles, the Piaggio Group reported strong progress, with sales of 100,100 vehicles, up 27.3% from 78,700 in the first half of 2017, and net sales of 209.1 million euro, up +14.4% from 182.8 million euro in the year-earlier period (+21.3% at constant exchange rates). The figure includes spares and accessories, where sales totalled 23.7 million euro, up 8.6% from the first half of 2017. Demand on the Indian market for three-wheel commercial vehicles showed strong signs of recovery and the PVPL subsidiary had an overall three-wheeler market share of 22.8%. In the first half of 2018 the PVPL production hub exported 14,800 commercial vehicles. Piaggio Fast Forward (PFF), the Piaggio Group robotics company in Boston, is continuing development work on its first innovative projects, Gita and Kilo, and conducted initial road trials in Los Angeles’ Venice Beach district, attracting great interest. Gita and Kilo are smart vehicles able to move autonomously in today’s increasingly complex urban environments. The vehicles accompany the user, map their surroundings and monitor other moving objects. On 17 May, Piaggio Group Chairman and CEO Roberto Colaninno and the Deputy Chairman of Foton Motor Group and Chairman of Foton International, Chang Rui, signed the final contract for the development and production of a new range of four-wheel light commercial vehicles. On 18 July, the technical annexes were signed, completing the last stage in the agreement process. With the entry into effect of the partnership, the investment process for the production of the new vehicles began. All the operations will take place in the Piaggio Group's facilities in Pontedera and the products will make their European market debut as from 2020. 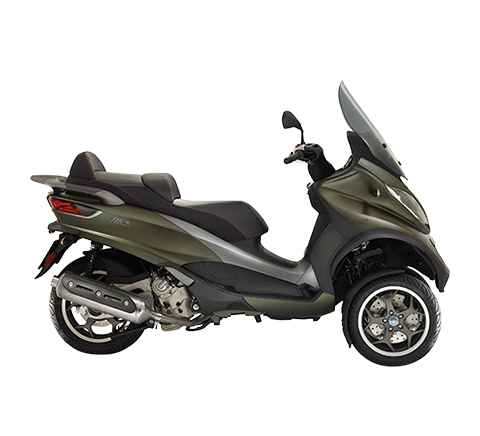 On 12 June, the Piaggio Group signed a 250 million euro five-year line of credit with a pool of banks. The main purpose of the facility is to refinance a revolving line and the term loan (for an equal amount) expiring in July 2019 granted by the same pool of banks. growing the penetration of commercial vehicles in India, in part through the introduction of new engine displacements. At a more general level, the Group maintains its commitment – a characteristic of recent years and continuing in 2018 – to generate higher productivity through close attention to cost and investment efficiency, in compliance with its ethical principles. The presentation of the financial results as at and for the six months ended 30 June 2018, which will be illustrated during a conference call with financial analysts, is available on the corporate website at www.piaggiogroup.com/it/investor. The Piaggio Group consolidated income statement, consolidated statement of financial position and consolidated statement of cash flows as at and for the six months ended 30 June 2018 are set out below. The income statement schedules have been updated as a result of the adoption of IFRS 9, which amended IAS 1 (82 ba), requiring separate recognition in the income statement of impairment losses (including impairment reversals or net impairment losses on trade and other receivables). In line with the recommendations of CESR Communication 05-178b, attention is drawn to the fact that this press release contains a number of indicators that, though not yet contemplated by the IFRS (“Non-GAAP Measures”), are based on financial measures envisaged by the IFRS. These indicators – presented in order to assist assessment of the Group’s business performance – should not be considered as alternatives to those envisaged by the IFRS and are consistent with those in the Piaggio Group 2017 Annual Report and in the quarterly and half-year reports. Furthermore, since determination of such indicators is not specifically regulated by the IFRS, the methods used may not coincide with those adopted by other companies/groups, and consequently the indicators in question may not be comparable. In compliance with Consob Communication no. 9081707 of 16 September 2009, it should be noted that the alternative performance indicators (“Non-GAAP Measures”) have not been audited by the independent auditors.